Schenkel, M., Krikke, H. R., Caniels, M. C. J., & Lambrechts, W. D. B. H. M. (2019, accepted/in press). Vicious cycles that hinder value creation in closed loop supply chains: Experiences from the field. Journal of Cleaner Production. Caniels, M. C. J., & van Assen, M. (2019, accepted/in press). How motivational orientations are related to ambidexterity. Kybernetes. Van Merriënboer, J., Kirschner, P. A., Paas, F., Sloep, P., & Caniëls, M. (2009). 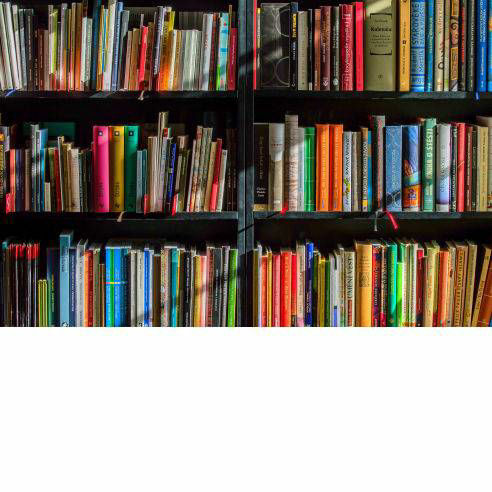 Towards an Integrated Approach for Research on Lifelong Learning. Educational Technology Magazine, 49(3), 3-14. Caniels, M. C. J., & Romijn, H. A. (2003). SME clusters, acquisition of technological capabilities and development: Concepts, practice and policy lessons. Journal of Industry, Competition and Trade, 3(3), 187-210. Enhance our understanding of knowledge management within firms. How can knowledgeable people be attracted to the firm and what role can be played by personal development (formal and informal)? In what way can staff training (learning at the individual / employee level) contribute to better social, ecological and economic performance of the firm. Besides the employee level also the organisational level is addressed. For example with questions such as: In what way can organisational continuously adapt routines and learn. - Caniëls, M.C.J. and E.F. Rietzschel (2015), ‘Organizing Creativity: Creativity and Innovation under Constraints’, Creativity and Innovation Management 24(2), 184-196. DOI: 10.1111/caim.12123. Impact Factor: 1.016. - Caniëls, M.C.J., Chini, B. and W. Ooms (2015), ‘Haal het meest uit creatief potentieel’, Gedrag en Organisatie – Themanummer Creativiteit en Innovatie 28(2), 98-117. ISI. Impact factor: 0.940. - Caniëls, M.C.J. (2012), ‘Developing Organizational Creativity: Does Organizational Creativity Require Constraints?’, Keynote lecture at the Workshop Creativity and Innovation Management, 29 June 2012, Technische Universität Berlin, Berlin. - Caniëls, M.C.J. 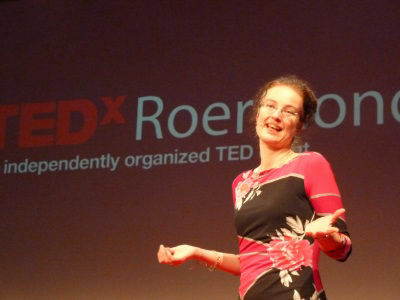 (2013), ‘Unlocking creativity’, TEDx Talk, 8 March 2013, Roermond, The Netherlands. - Caniëls, M.C.J. and R.J.J.M. Bakens (2012), ‘The effects of Project Management Information Systems on decision making in a multi project environment’, International Journal of Project Management 30(2), 162-175. DOI: 10.1016/j.ijproman.2011.05.005. ISI. Impact factor: 1.532. - Caniëls, M.C.J. and P.A. Kirschner, (2012), ‘Determinants, benefits and barriers of informal learning in the Netherlands’, in: Van den Bossche, P., Gijselaers, W.H. and R.G.Milter (Eds), Advances in Business Education and Training 4. Springer Verlag: Dordrecht, 93-110. - Van Vuuren, T., Caniëls, M.C.J. and J. Semeijn (2011), ‘Duurzame inzetbaarheid en een leven lang leren’, Gedrag en Organisatie 24(4), 356-373. ISI. Impact factor as of 2012. - Ooms, W., Werker, C., Caniëls, M.C.J., and H.M. van den Bosch (2015), ‘Research orientation and agglomeration: Can every region become a Silicon Valley?’. Technovation 45-46, 78-92. ISI. DOI:10.1016/j.technovation.2015.08.001. Impact factor: 2.526. 5-Year Impact Factor: 3.636. - Caniëls, M.C.J. and H. van den Bosch (2011), ‘The role of Higher Education Institutions in building regional innovation systems’, Papers in Regional Science 90(2), 271-287. DOI: 10.1111/j.1435-5957.2010.00344.x. ISI. 2009 Impact Factor: 1.397. - Romijn, H.A. and M.C.J. Caniëls (2011), ‘The Jatropha Biofuels Sector in Tanzania 2005-9: Evolution Towards Sustainability?, Research Policy 40, 618-636. DOI: 10.1016/j.respol.2011.01.005. ISI. 2011 Impact Factor: 2.520; 2011 5-Year Impact Factor: 4.242. - Caniëls, M.C.J. and H.A. Romijn (2008), ‘Actor networks in Strategic Niche Management: Insights from Social Network Theory’, Futures 40(7), 613-629. DOI:10.1016/j.futures.2007.12.005. ISI. 2010 Impact Factor: 0.669; 2010 5-Year Impact Factor: 1.088. Shed light on the issues at play in the management of relations in the supply chain, with a focus on learning from forward and backward linkages. A key objective is improving our insights about the factors that stimulate or hamper interorganisational learning and innovation. - Schenkel, M., Krikke, H.R., Caniëls, M.C.J. and E. van der Laan (2015), ‘Creating integral value for stakeholders in Closed Loop Supply Chains’. Journal of Purchasing and Supply Management 21(3),155-166. ISI. DOI: 10.1016/j.pursup.2015.04.003. Impact factor: 2.333. 5-Year Impact Factor: 2.521. - Schenkel, M., Krikke, H.R., Caniëls, M.C.J. and E. van der Laan (2015), ‘Understanding Value Creation in Closed Loop Supply Chains- Past findings and future directions’, Journal of Manufacturing Systems 37(3), 729-745. ISI. DOI: 10.1016/j.jmsy.2015.04.009. Impact factor: 1.847. SNIP: 2.474. - Caniëls, M.C.J., Gehrsitz, M., and J. Semeijn (2013), ‘Participation of suppliers in greening supply chains: An empirical analysis of German automotive suppliers’, Journal of Purchasing and Supply Management 19(3), 134-143. DOI:10.1016/j.pursup.2013.02.005. ISI. Impact factor: 1.609. - Caniëls, M.C.J. and C. J. Gelderman (2010), ‘The safeguarding effect of governance mechanisms in interfirm exchange: The decisive role of mutual opportunism’, British Journal of Management 21(1), 239–254. DOI: 10.1111/j.1467-8551.2009.00654.x. ISI. 2011 Impact Factor: 1.516; 2011 5-Year Impact Factor: 2.631. - Caniëls, M.C.J. and A. Roeleveld (2009), ‘Power and dependence perspectives on outsourcing decisions’ European Management Journal 27, 402-417. ISI. Impact factor: 0.795. - Caniëls, M.C.J., Cleophas, E., and J. Semeijn (2016), ‘Implementing Green Supply Chain Practices: An empirical investigation in the Shipbuilding Industry’, paper accepted on 1 February 2016 by Maritime Policy & Management (TMPM-2015-0027.R2). Impact Factor 2014: 1.309. DOI: 10.1080/03088839.2016.1182654. - Zhu, Q., Krikke, H. and Caniëls, M. C. J. (2016), ‘Collaborate or not? A system dynamics study on disruption recovery’, Industrial Management & Data Systems 116(2), 271-290. DOI: 10.1108/IMDS-05-2015-0209. Impact factor 2014: 1.226. - Schenkel, M., Krikke, H.R., Caniëls, M.C.J. and E. van der Laan (2015) ‘Creating integral value for stakeholders in Closed Loop Supply Chains’. Journal of Purchasing and Supply Management 21(3),155-166. ISI. Impact factor: 2.333. 5-Year Impact Factor: 2.521. - Schenkel, M., Krikke, H.R., Caniëls, M.C.J. and E. van der Laan (2015), ‘Understanding Value Creation in Closed Loop Supply Chains- Past findings and future directions’, Journal of Manufacturing Systems 37(3), 729-745. ISI. Impact factor: 1.847. SNIP: 2.474. - Caniëls, M.C.J. and E.F. Rietzschel (2015), ‘Organizing Creativity: Creativity and Innovation under Constraints’, Creativity and Innovation Management 24(2), 184-196. DOI: 10.1111/caim.12123. ISI. Impact Factor: 1.016. - Caniëls, M.C.J., Lenaerts, H. and C.J. Gelderman (2015), ‘Explaining the Internet usage of SMEs: The impact of market orientation, behavioural norms, motivation and technology acceptance’, Internet Research 25(3), 358-377. ISI. Impact factor: 1.638. 5-yr impact factor: 1.846. - Neghina, C., Caniëls, M.C.J., Bloemer, M.M. and M.J.H. van Birgelen (2014), ‘Value co-creation in service interaction: Dimensions and antecedents’, Marketing Theory (Oct 2014), 1-22. DOI: 10.1177/1470593114552580. ISI. Impact factor: 2.267. - Caniëls, M.C.J., De Stobbeleir, K.E.M. and I. De Clippeleer (2014), ‘The antecedents of creativity revisited: A process perspective’, Creativity and Innovation Management 23(2), 96-110. DOI: 10.1111/caim.12051. ISI. Impact Factor: 0.855. - Arora, S., Romijn, H.A., and M.C.J. Caniëls (2013), ‘Governed by history: Institutional analysis of a contested biofuel innovation system in Tanzania’, Industrial and Corporate Change 23(2), 573-607. DOI: 10.1093/icc/dtt017. ISI. Impact factor: 1.372; 5-Yr impact factor: 2.109. - Caniëls, M.C.J., Gehrsitz, M., and J. Semeijn (2013), ‘Participation of suppliers in greening supply chains: An empirical analysis of German automotive suppliers’, Journal of Purchasing and Supply Management 19(3), 134-143. DOI:10.1016/j.pursup.2013.02.005. ISI. Impact factor: 1.061. - Pieterse, J.J.H., Caniëls, M.C.J. and T. Homan (2012), ‘Professional discourses and resistance to change’, Journal of Organizational Change Management 25(6), 798 – 818. DOI: 10.1108/09534811211280573. ISI. Impact factor: 0.744. - Caniëls, M.C.J., Gelderman, C.J. and N.P. Vermeulen (2012), ‘The interplay of governance mechanisms in complex procurement projects’, Journal of Purchasing and Supply Management 18(2), 113-121. DOI: 10.1016/j.pursup.2012.04.007. ISI. Impact factor: 1.061. - Caniëls, M.C.J. and R. Bakens (2012), ‘The effects of Project Management Information Systems on decision making in a multi project environment’, International Journal of Project Management 30(2). DOI: 10.1016/j.ijproman.2011.05.005. ISI. Impact factor: 1.532. - Caniëls, M.C.J., Gelderman C.J. and J. Ulijn (2010), ‘Buyer-supplier relationship development: An empirical quantification’, Journal of Enterprising Culture 18(2), 107-137. DOI No: 10.1142/S0218495810000537. - Kesidou, E., M.C.J. Caniëls and H.A. Romijn (2009), ‘Local Knowledge Spillovers and Development: An exploration of the Software Cluster in Uruguay’, Industry and Innovation 16(2), 247-272. DOI: 10.1080/13662710902764444. ISI. Impact factor as of 2012. - Caniëls, M.C.J. and A. Roeleveld (2009), ‘Power and dependence perspectives on outsourcing decisions’ European Management Journal 27, 402-417. ISI. Impact factor as of 2012. - Caniëls, M.C.J. and E.M. van Raaij (2009), ‘Do all suppliers dislike electronic reverse auctions?’ Journal of Purchasing and Supply Management 15(1), 12-23. DOI:10.1016/j.pursup.2008.10.003. ISI. Impact factor as of 2012. - Caniëls, M.C.J. and H.A. Romijn (2008), ‘Supply chain development: Insights from Strategic Niche Management’, The Learning Organization 15(4), 336-353. DOI:10.1108/09696470810879583. - Caniëls, M.C.J., H.A. 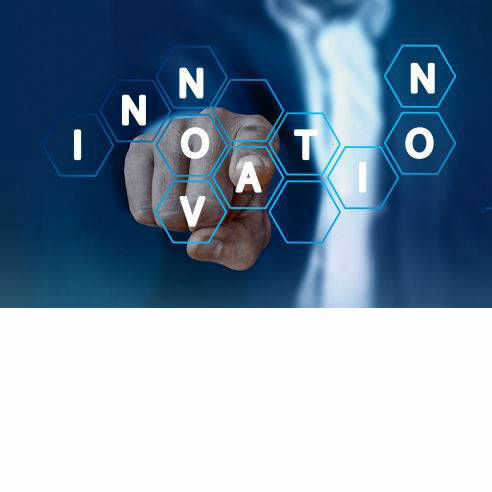 Romijn and M. de Ruijter de Wildt, (2006) ‘Can Business Development Services practitioners learn from theories on innovation and services marketing?‘, Development in Practice 16(5), 425-440. DOI: 10.1080/09614520600792366. - Caniëls, M.C.J. and C. J. Gelderman(2005), ‘Purchasing strategies in the Kraljic matrix – a power and dependence perspective’, Journal of Purchasing and Supply Management 11(2-3), 141-155. DOI:10.1016/j.pursup.2005.10.004. ISI. Impact factor as of 2012. - Caniëls, M.C.J. and H.A. Romijn, (2005), ‘What works, and why, in Business Services provision for SMEs: Insights from evolutionary innovation theory’, Managing Services Quality 15(6), 591 – 608. DOI:10.1108/09604520510634041. - Caniëls, M.C.J. and H.A. Romijn, (2003), ‘Dynamic clusters in developing countries: Collective efficiency and beyond’, Oxford Development Studies 31(3), 275-292. DOI:10.1080/1360081032000111706. - Caniëls, M.C.J. and H.A. Romijn, (2003), ‘SME Clusters, Acquisition of Technological Capabilities and Development: Concepts, Practice and Policy Lessons’, Journal of Industry, Competition and Trade 3(3), 187-210. - Caniëls, M.C.J., (2000), Knowledge spillovers and economic growth, Edward Elgar, Cheltenham. - Caniëls, M.C.J. and R.J.J.M. Bakens (2015), ‘Project Management Information Systems in a multi project environment’, in: Schwindt, Ch. and J. Zimmermann (eds), Handbook on Project Management and Scheduling (Vol. 2), Springer, 1355-1384. - Caniëls, M.C.J., Kronenberg, K. and C.W. Werker (2014), ‘Conceptualizing Proximity in Research Collaborations’, in: Rutten, R.P.J.H., Benneworth, P., Iriwati, D, and F. Boekema (eds), The Social Dynamics of Innovation Networks, Taylor and Francis, 221-238. - Caniëls, M.C.J. and A. Roeleveld, (2013), ‘The role of power and dependence in outsourcing’, in: Molinelli, F.E. and L.S. Paccagnella (eds), Economics of Regulation and Outsourcing, Nova Science Publishers: New York, 181-192. - Caniëls, M.C.J. and H. van den Bosch, (2012), ‘Improving the Involvement of Higher Education Institutions in learning and innovation in a regional framework’, in: Van den Bossche, P., Gijselaers, W.H. and R.G.Milter (Eds), Advances in Business Education and Training 4. Springer Verlag: Dordrecht, 111-126. - Semeijn, J., Semeijn, J.H. and M.C.J. Caniëls (2011), ‘How should service-dominated logic be applied to business education?’, in: P. Van den Bossche, W.H. Gijselaers and R. Milter (Eds), Advances in Business Education and Training 3: Building Learning Experiences in a Changing World. Springer Verlag:Dordrecht, 45-54. - van Raaij, E.M. and M.C.J. Caniëls (2009), ‘Supplier perceived fairness of electronic reverse auctions’ in: Academyof Management, Best Paper Proceedings of the 2009 Academy of Management Meeting. Academy ofManagement:Briarcliff Manor, New York. - Caniëls, M.C.J., E. Kesidou and H.A. Romijn (2009) ‘The software sector in Uruguay: A Sectoral Systems of Innovation perspective’, in: F. Malerba and S. Mani (Eds), Sectoral Systems of Innovation and Production in Developing Countries: Actors, Structure and Evolution. Edward Elgar:Cheltenham,UK andNorthampton, Mass,USA, 131-155. - Caniëls, M.C.J., A.H.J. Smeets-Verstraeten and H.M.J. van den Bosch(2007), ‘LMS, LCMS and E-Learning Environments: where did the didactics go?’, in M.K. McCuddy, H. Van den Bosch, W.B. Martz Jr., A.V. Matveev and K.O. Morse (Eds), The challenge of educating people to lead in a challenging world. Springer Verlag: Dordrecht, 401-421. - Caniëls, M.C.J. and H.A. Romijn (2006), ‘Localised knowledge spillovers – The key to innovativeness in industrial clusters?’, in: P. Cooke and A. Piccaluga (Eds), Regional Development in the Knowledge Economy, Routledge:London andNew York, 22-42. - Caniëls, M.C.J. and H.A. Romijn (2004), ‘Conceptualising technological capability building in SME clusters in developing countries’, in: Pietrobelli, C. and A. Sverrison (eds), Linking Local and Global Economies – The Ties that Bind, Routledge: London, 36-55. - Caniëls, M.C.J. and H.A. 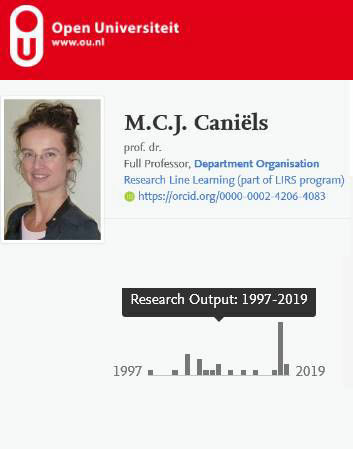 Romijn (2004), ‘Exploring the firm-level foundations of regional dynamism’, in: Karlsson, C., Flensburg, P. and S. Hörte (eds) Knowledge Spillovers and Knowledge Management, Edward Elgar:Cheltenham, 65-93. - Caniëls, M.C.J. and H.A. Romijn (2004), ‘Technological learning in small enterprise clusters: Conceptual framework and policy implications’, in: Mani, S. and H.A. Romijn (eds), Innovation, Learning and Technological Dynamism of Developing Countries, UNU-Press:New York, 135-157. - Caniëls, M.C.J. en B. Verspagen, (2003), ‘Spatial distance in a technology gap model’, in: Fingleton, B. (ed. ), European Regional Growth, Springer – Verlag:Berlin, 159-182. - Fagerberg, J., Verspagen, B. and M.C.J. Caniëls, (2002), ‘Technology, growth and unemployment across European regions’, in: Fagerberg, J. (ed. ), Technology, Growth and Competitiveness: Selected Essays, Edward Elgar: Cheltenham. The paper “Explaining the internet usage of SMEs: the impact of market orientation, behavioural norms, motivation and technology acceptance” published in Internet Research 2015 has been selected by the journal’s editorial team as the Outstanding Paper in the 2016 Emerald Literati Network Awards for Excellence. 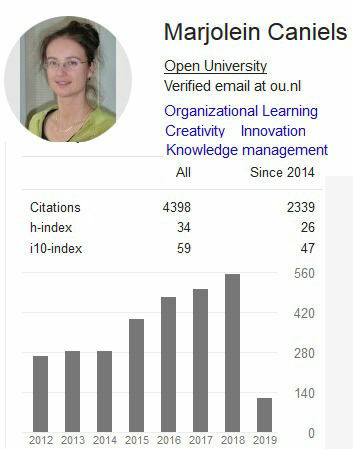 The paper titled ‘The Antecedents of Creativity Revisited: A Process Perspective’ (see publications), was the Most cited Creativity And Innovation Management article published in 2014 & 2015. The paper titled ‘Implementing Green Supply Chain Practices: An empirical investigation in the Shipbuilding Industry’ (see publications) has been judged as amongst the best accepted papers in the programme of the 2015 Academy of Management Meeting (August 7-11, Vancouver, BC, Canada) and is published in the best paper proceedings. The paper titled ‘The Antecedents of Creativity Revisited: A Process Perspective’ (see publications) received the Best Paper Award 2014 by the CIM journal. Full paper here-> [PDF]. The course Advanced Studies in Management was awarded Best Course of the Faculty of Management, Science and Technology in 2014. Best submission to the Research Methods Track of the Eastern Academy of Management, International Conference on Managing in a Global Economy XIV: Global Web of Knowledge, Bangalore, India. 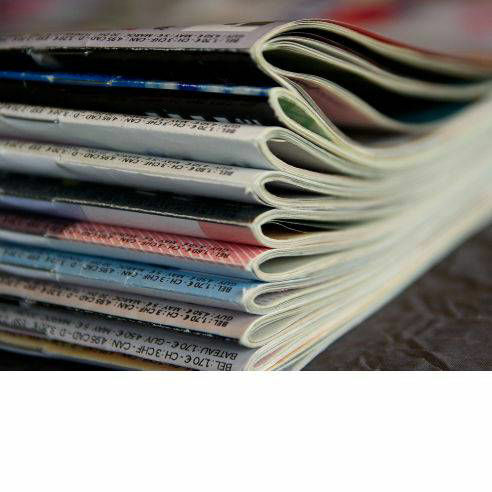 The paper titled ‘Power and interdependence in buyer supplier relationships: A purchasing portfolio approach’ (see publications) has been awarded as “Top 10 most-cited article” published in Industrial Marketing Management between 2005 and 2009. 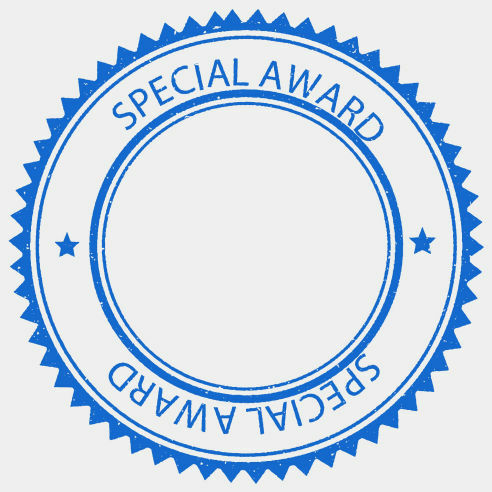 The paper titled ‘Supplier perceived fairness of electronic reverse auctions’ (see publications) has been judged as amongst the best accepted papers in the programme of the 2009 Academy of Management Meeting (August, Chicago) and is published in the best paper proceedings. Award for Best Paper 2005, Supply Chain Management – An International Journal and Emerald. Award for the Best Conference Paper 2005, IPSERA (International Purchasing & Supply Education & Research Association). Award for being Best Referee of Regional Studies 2004. Award for being Best Referee of Regional Studies 2001.